How does the process of boarding my Dog or Cat at Camino Verde Pet Resort work? You have to make sure that your Pet in the best care available in Tucson, Arizona, because you can’t leave him/ her alone at home? Here is how it works! How to make a reservation for my Pet to be boarded? Call 520-883-8464, or go HERE to book your Boarding timelessly in minutes via our website! You will then receive an Email to confirm that your reservation was accepted. You are encouraged to book your Pet’s stay as soon as you discover the need to board him/her, as some times availability can be limited, especially during peak season throughout Holidays. What do I need at the time of boarding my Pet? Every Pet boarded at Camino Verde Pet Resort needs to be current on Rabies, Distemper, Parvo, Hepatitis, Leptosperosis (DHPPL). The DHPPL, as well as the Bordatella shot is offered at our facility for an additional charge of $20.00 each. The Bordatella vaccination is NOT required, but highly recommended! For first time boarders, you are required to provide proof of current vaccination. We will record your next due dates in our computer system. So you don’t have to worry about your shot records in the future when boarding. As an alternative, we offer to contact your Veterinarian to verify your dog’s/ cat’s vaccination history over the phone. All dogs should be on Flea and Tick preventative treatment. Our facility is sprayed by a professional company twice per month, yet since the kennels are hosed out frequently, the effectiveness of the treatment of the facility is possibly compromised to a degree. Needless to say, if a dog is NOT on Flea and Tick preventative treatment, it might be the one bringing the creatures to us! If your Pet is not on preventative treatment, we offer to apply it at the time of boarding at an additional charge of $20.00 (3 months treatment). The food for your dog/cat is included in the price of boarding. It is yet highly recommended to provide your own food. 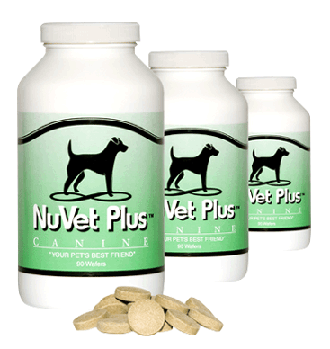 Changing your pet’s nutrition will more likely upset his/her stomach, since it will be switched twice back and forth in a very short period of time. Your Pet will be fed exactly to your instructions noted at the time of boarding. You are also welcome to bring treats that are given to your dog in order to keep him busy and make him feel at home. Please consider that amounts being consumed during boarding (especially in the first few days being in a new environment) might vary from the amount being consumed at home! It is not just allowed, but recommended to bring his/her favorite toys and his bed. This will make your pet really feel at home! Please consider though, that dogs do get bored and will damage these belongings! At the time of boarding, you will be asked to fill out and sign a boarding liability release. This will release Camino Verde Pet Resort from liability of anything happening to your pet that is not caused by negligence. What is the Pet Boarding Charge? Camino Verde Pet Resort has change its charge policy as of May-01-2017. A daily charge will be applied each day of your pet’s stay. Drop of or pick up time does NOT matter for the charge. You can bring – or pick up your pet any time during business hours. Pick up or drop off before or after business hours will be charged at $20.00 within one hour before opening or after closing. Pick up or drop off more than one hour before or after business hours will be charged at $40.00.